Genesis Plus is an FDA-cleared, comfortable, effective and non-invasive way to treat both fingernail and toenail fungus. Patients here in our Bloomfield, Connecticut practice now have a treatment option that does not involve taking medication that may be toxic to the liver and the inconvenience of frequent blood tests to monitor liver function. 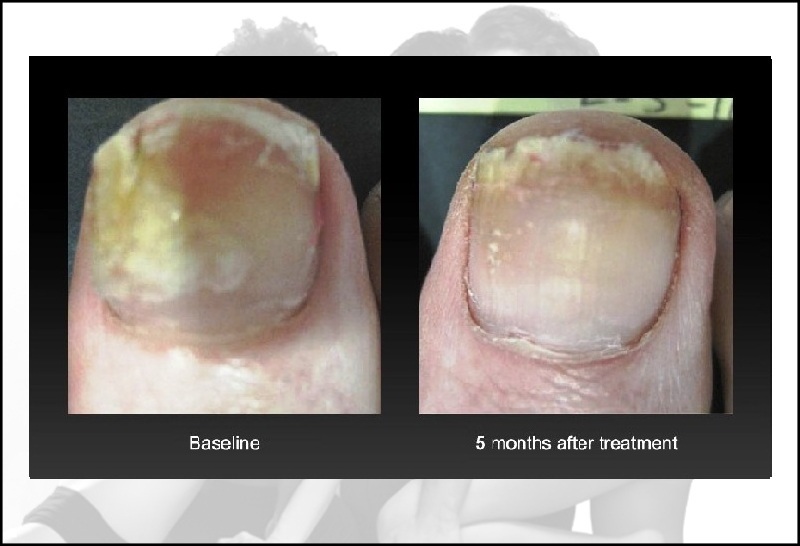 The treatment works by directing the laser light beam on the nail and surrounding skin, destroying the fungus embedded in the nail bed and nail plate. Two to four treatments are generally required* with frequency depending on the severity of the disease. If you have any questions or would like to make an appointment, call us at 860-242-0497 or Contact us. How does Genesis Plus for toenail or fingernail fungus work? Tiny pulses of light pass through the toenail or fingernail to the fungus underneath. The laser energy kills the fungus without any damage to the surrounding nail or skin. Depending on how many nails are affected, from 10 to 20 minutes. Is the laser nail fungus treatment painful? Most patients feel a slight warming sensation during the procedure. Pain medication is not required as majority of people find the treatment very easy to tolerate. How many laser nail fungus treatments will be needed? Many patients require only one treatment, but some need more, particularly in severe cases of toenail fungus*. Are there any restrictions on activity post procedure? None. Normal activity can be resumed immediately. As the nail grows out, new nail growth should be clear. Toenails may take 6 to 12 months to completely clear as they grow more slowly. Reinfection is possible as nail fungus is acquired from the environment. During the consultation, our medical providers will discuss how to prevent nail fungus infection in the future. Nail polish and jewelry must be removed prior to treatment. Nail polish may be reapplied 24 hours after treatment. 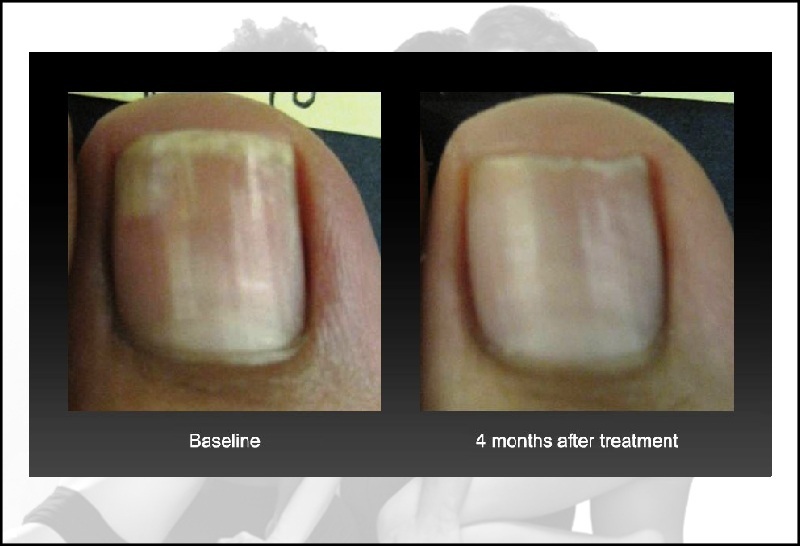 How does Genesis Plus compare to other nail fungus treatments? Genesis Plus is a quick, safe and effective procedure that treats the source of the fungus. The traditional treatments are either less effective or have significant risks. For example, oral medicines can cause liver or kidney problems. How much does a Genesis Plus treatment cost?